smartable - Have you ever wondered what the word "IoT" means in "smartable IoT, S.L.U"? > Inicio > Blog > Have you ever wondered what the word "IoT" means in "smartable IoT, S.L.U"? Have you ever wondered what the word "IoT" means in "smartable IoT, S.L.U"? What is IoT and where does it apply? IoT means Internet of Things and when we say IoT we are talking about a set of technologies that allow you to connect to the Internet from any type of device. The purpose of this type of solution is essentially to monitor, control and transfer information and then carry out the consequent actions. From public services to health, from production to public administration, now there are many working sectors and areas with different levels of maturity affected by IoT technological innovation. IoT technologies are revolutionizing the retail sector as well, as they offer cutting-edge solutions and new business opportunities in customer experiences throughout the supply chain, both in terms of online space and e-commerce and in physical stores, for other areas such as the cloud, mobility and social networks. The distribution operators active in the physical stores segment recognize the benefits of installing sensors on the shelves of their facilities to provide real-time information on the situation of the stock and at the right time to renew shelves. More and more retailers and electronic sellers are focusing on the use of IoT technologies to monitor products through the supply chain, connected with systems that send personalized digital coupons to store managers every time they access the system and with sensors to monitor the conditions of perishable products. 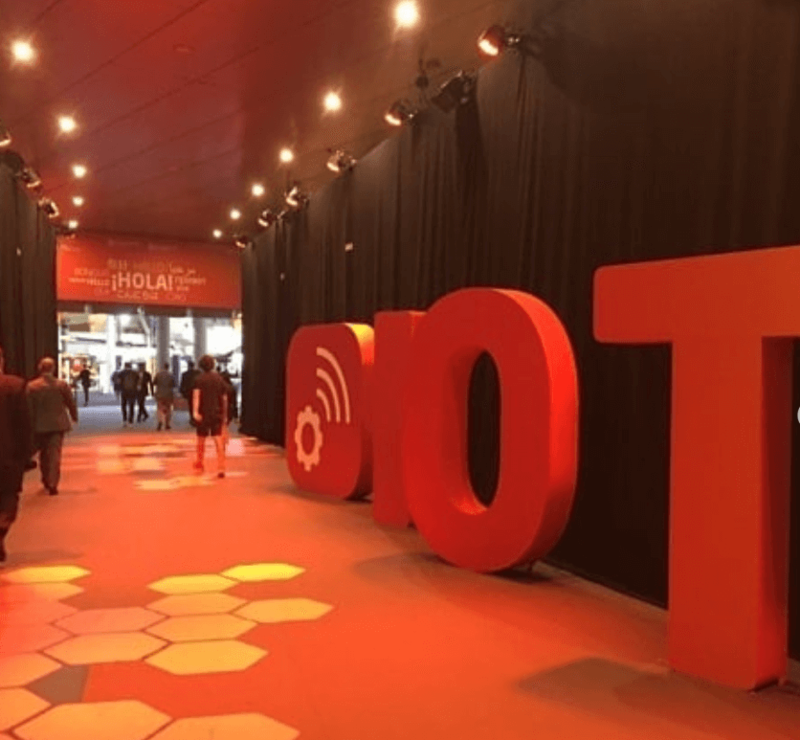 On October 16, 17, 18 in Barcelona, ​​we participated in the IoT Solutions World Congress, an event about industrial Internet and digital transformation in various business sectors, which is divided into a congress, an exhibition and "test benches". The edition brings 300 exhibitors and 250 industry experts from around the world. 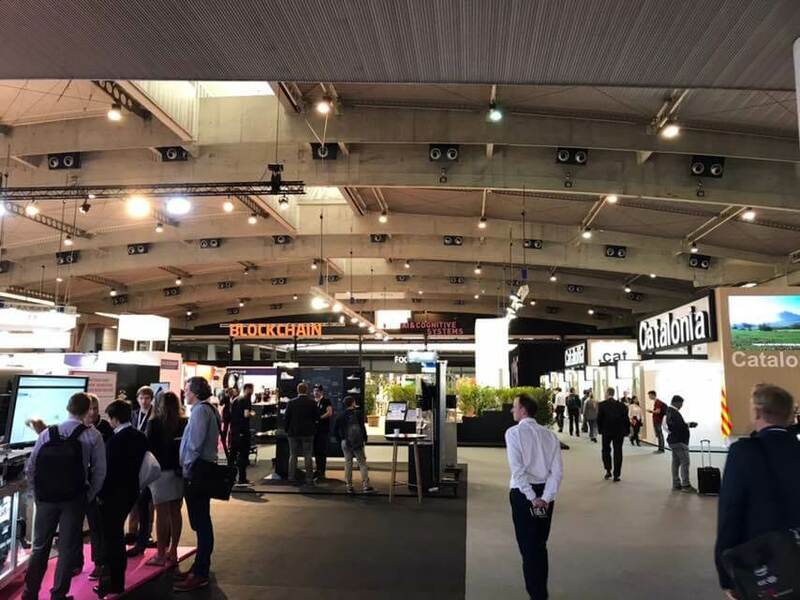 The event that this year has shown the growth of IoT and its implementation on a large scale in many industrial and commercial applications, and also demonstrated the convergence of this technology with Artificial Intelligence and Blockchain. During this event, we have been able to actively listen different companies that develop their IoT project in different sectors. This year have debuted the 'test benches' designed to implement innovative solutions and practices that can be tested under real operating conditions, Solutions are many, including a hardware and software system whose goal is turn into “smart” any everyday object. The company Geeksme will offer demos, adapting his revolutionary product Universall to a chair, a door, a mattress, a paddle racket and a helmet. All of them are conventional objects converted into smart thanks to the ecosystem, which allows knowing how they are used in detail and adding other variables such as the quality of the surrounding air, temperature and humidity. Geeksme promises us that Universall "minimizes effort and cost, with a unique architecture and significantly reduces the time to market." Ecco company stand showed another project has caught our attention: a 3D printed footwear that could affect the consumer goods industry. IoT and Artificial Intelligence are no longer technological revolutions that we see as shadows on the horizon; they are a reality keep implementing more and more often and have a huge potential that can transform all our daily lives activities. IoT and artificial intelligence complement each other and can be used in all areas to improve our lifestyle. If the IoT was born and used exclusively to connect things, now, with the help of Artificial Intelligence, connected devices can also be very smart. In fact, artificial intelligence allows devices to communicate each other and take (smart) decisions for the benefit of the company ... and all of us. Future industry will not look like anything we have today. With the help of IoT, the factories that will use Artificial Intelligence (and 3D printing, in the case of this company ECCO) will be more efficient and productive. In the past, the mentality was that this technology would replace traditional production. Instead, many industries have begun to incorporate IoT technology into their current processes to make traditional methods cheaper and more efficient: the perfect evolution of the factory of the future. smartable shares and promotes IoT principles of evolution and innovation.From the beginning smartable made this word the slogan of the company. Keep following us on social networks and on our blog to discover more about our innovative idea of ​​the IoT and Blockchain-city.